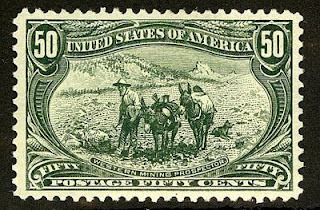 Surcharge and perf varieties exist for this set, and although quantities issued information doesn't exist for the varieties, it's reasonable to assume that those which catalog more than the basic stamps are considerably scarcer. Given that this is an overprinted issue, it probably makes sense to purchase #19, 21, and some of the better varieties conditional on obtaining expertization. I believe that these stamps have been ignored because they are obscure early surcharges. 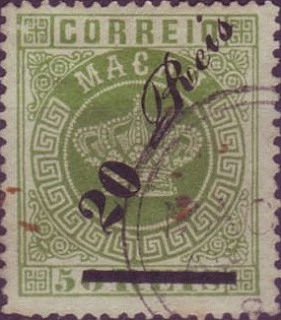 They were issued during a period in which Macao was not widely collected, and most of the stamps issued were probably used and discarded. In 1999, Macao became a special administrative district of the People's Republic of China. With a population of about 500,000, Macao's economy is dependent upon tourism, much of it geared toward gambling, although important secondary sectors include apparel manufacturing and financial services. Annual GDP growth has been high, averaging over 9% over the last 7 years. The fact that much of Macao's economic growth has been driven by a regional monopoly on gaming is a little worrisome, because obviously there is no guarantee that the People's Republic won't relax restrictions on gambling in the rest of China, allowing more competition. Nevertheless, I feel that certain scarce issues of this former colony are grossly undervalued, given the number of collectors who will be bidding for them.